As the Almighty and the Lord of His people and of all mankind, God in His holiness declares His will. To that there can only be one response; obedience. It is a decision that will either bring blessings or cursing. Ever wonder why Israel is in the forefront of almost every news report? What is it that Israel has, that is so important that there is a continual struggle over this land? Wars have been fought for the control of Israel and Jerusalem and today there is still the ongoing battle. We have thought about this for many months and come to a conclusion that it is wrapped up in one word – Holiness! And it is because of the ‘Holy sites’ in what is known as the ‘Holy cities’ that tens of thousands of tourists or pilgrims come to Israel each year. Then we ask ourselves what is it that draws people by the thousands to the ‘Holy Land’? It’s a deep desire for the presence of God. And it is in Israel that there will be the final battle between good and evil. But…"Holiness" doesn't mean separation from life, in Jewish thought. Holiness means the fullness of life, a God-centred life, full of joy and truth. This month we would like to take a look at mainly, ‘The Four Holy Cities of Israel’ – which is the collective term in Jewish tradition applied to the cities of Jerusalem, Hebron, Tiberias and Safed: "Since the sixteenth century the holiness of Israel, especially for burial, has been almost wholly transferred to four cities - Jerusalem, Hebron, Tiberias, and Safed." For believers in Yeshua we can also add Nazareth (where Yeshua grew up) and Bethlehem (where Yeshua was born). The Semitic root of the name "Jerusalem" is thought to be "s-l-m" meaning peace, harmony or completeness, and is the root word for SHALOM. A city called Rusalimum or Urusalimum appears in ancient Egyptian records as one of the first references to Jerusalem. Yerushalayim (Jerusalem) first appears in the book of Joshua 10:1 but this form has the appearance ‘yerusha’ (heritage) and the original name Shalem. Typically the ending -im indicates the plural in Hebrew grammar and -ayim the dual thus leading to the suggestion that the name refers to the fact that the city sits on two hills. To the Arabs, Jerusalem is al-Quds ("The Holy") and only 3rd on their list. "Zion" initially referred to part of the city, but later came to signify the city as a whole. Under King David, it was known as "Ir David" (the City of David). Jerusalem has been the holiest city in Judaism and the spiritual homeland of the Jewish people since the 10th Century BCE. Jerusalem is associated with the element of fire… (a reference to the continuous sacrificial fires kept burning in the Holy Temple). And it is the first of the holy cities, place of "Har Habayit" (Mountain of the House) and the temple. Jerusalem has been the holy (and only) Jewish worship city for many centuries until the destruction of the temple by the Romans. Jerusalem is already referenced in the Bible as the holy city chosen by God. The holiness of Jerusalem is recognized by Jewish law by special rules relating to Jerusalem only. For Christians Jerusalem is holy, very significant and important as makes reference to Judea Christian heritage was birthed through the Messiah, Yeshua (Jesus). For the Jews, the significance of Jerusalem is quite clear. The Jewish connection to Jerusalem is an ancient and powerful one. Judaism made Jerusalem a holy city over three thousand years ago and through all that time Jews remained steadfast to it. Jews pray in its direction, mention its name constantly in prayers, close the Passover service with the wistful statement "Next year in Jerusalem," and recall the city in the blessing at the end of each meal. The destruction of the Second Temple by the Romans in 70 AD looms very large in Jewish memory; remembrance takes such forms as a special day of mourning, houses left partially unfinished, a woman's makeup or jewellery left incomplete, and a glass smashed during the wedding ceremony. "Jerusalem represents... the purest expression of all that Jews prayed for, dreamed of, cried for, and died for in the two thousand years since the destruction of the Second Temple." In Jewish thought... Holiness means the fullness of life, a God-centred life, full of joy and truth. Jerusalem thrives in spite of those who attack her. Truth is on Israel’s side. 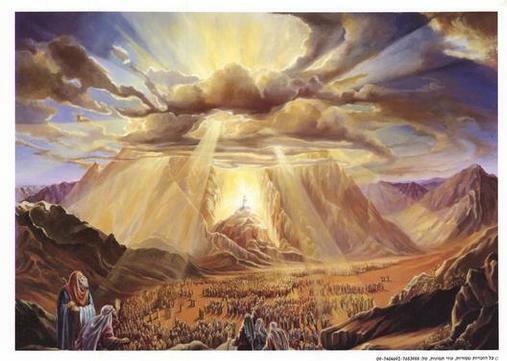 Jerusalem grows and awaits the return of her king and her house, the Messiah and God’s Temple. King David in his infinite wisdom continues; "For the sake of my brothers and friends, I shall speak of peace in your [Jerusalem] midst" (Psalms 122:8). He then concludes - "For the sake of the House of the Lord, our God, I will seek your [Jerusalem's] good" (Psalms122:9). Of what value is the Holy City and House of God, if there are no people to take in God’s sacred spirit? God's Spirit dwells only where there are those who will benefit from His Presence. One of David's first acts as king was the conquest of Jerusalem. He named it the "City of David" and declared it the capital of his kingdom. David conquered Jerusalem in approximately 1004 BCE and made it a centre of government. He brought the Ark of the Covenant to the city, and Jerusalem became the political and spiritual nexus of the Jewish people. David refrained from building the Temple, because he was a man of war, he was not permitted to build the temple thus leaving the task to his son Solomon. The concentration of religious ritual at the Temple made Jerusalem a place of pilgrimage and an important commercial centre. The city served as the capital of the United Kingdom (Judah and Israel) for only two generations. Its centrality was restored by the conquest and destruction of the northern Kingdom of Israel by the Assyrians in 722 BCE. It was in Jerusalem that most of the great prophets were active, articulating spiritual and ethical principles that would transcend the city's narrow confines to become pillars of human civilization. In 586 BCE the city succumbed to the Babylonians. At the order of their king, Nebuchadnezzar, the city was torched, the Temple razed, and the people were exiled. The building of the First Temple in Jerusalem brought into being a new religious reality for the people of Israel: sacrifices could now be offered only at the Temple, and the biblical implementing of the three pilgrimages - at "Pesach" (Passover), "Shavuot" (Pentecost), and at "Sukkot" (Tabernacles) received concrete affirmation. With ritual worship concentrated in Jerusalem, the city’s population was swollen enormously at fixed times each year, despite its pronounced geographic remoteness. In 538 BCE, a proclamation by King Cyrus of Persia, who had conquered Babylon, permitted the exiles to return to Jerusalem. It was during the ensuing "Persian Period" that the Second Temple was built. The people were led by the towering figures of Ezra and Nehemiah. As the leader and governor of Jerusalem, Nehemiah required every family in Judah to send ten of its members to live in Jerusalem, thus augmenting the city's meagre population. Nehemiah's great project was to rebuild the walls and fortify the city. Because Zerubabel did not have the funds and skilled workmen available to him as King Solomon did, the Second Temple was inferior in beauty and workmanship; however it was refurbished and enlarged by King Herod. Ironically, the First and Second Temple was plundered and burnt down first by the Babylonians in 586 BC and then by the Romans in AD70 both on the 9th day of AV. During King Herod's reign (37-4 BCE) Jerusalem grew northward. Monumental building projects included the Second Wall, the expansive and magnificent Temple Mount, the Antonia Fortress and the Citadel (today's Tower of David). Yeshua (Jesus) of Nazareth was active in this period of the Second Temple. After gathering His Apostles and followers in the Galilee and surrounding areas - His views often conflicted with the Jewish religious leaders of the day and it was in Jerusalem where He was crucified. The Bible does not end with the rebirth of the nation of Israel, but goes into great detail about what happens when the nation is reborn. The Bible shows the re-born nation will be rejected and will suffer war after war. The wars that Israel has gone through since its rebirth; along with the rejection of the nation by nearly all religions, political, and economic organization fits right into Bible prophecy. The wars involving Israel 1948, 1956, 1967, 1973 are minor compared to the future battles described in the Bible. These wars will not go on forever. In Luke Chapter 21:24, Jesus referred to the Church Age as the "Times of the Gentiles." This passage from Luke reveals that the Jews will not have total control of Jerusalem until the Church Age is completed. Many believe the Church Age, the Age of Grace, will end with the Rapture of the Church. The Christian Church is currently the primary vehicle God uses to speak to the Earth. Soon, Israel will be placed in the forefront, after the Church Age is fulfilled, and the world will be back under the Law of God. For this reason, Israel will build their Third Temple to God in Jerusalem, believing that only the daily sacrifice of animals can justify them before their God. Of course, the New Testament believers know that the Jew should be under the Grace of God in Messiah Yeshua. However since God has blinded National Israel to this fact (Romans 11: 25-29,) He will allow them to build this Third Temple. When this Third Temple is constructed, the prophecies of Revelation 11, 13, 14 and 19 can, for the first time in history, be fulfilled. When the Antichrist of Revelation 13 is revealed as the Deceiver that he is, setting up an idol in the Third Temple and violating Commandments 1 and 2, National Israel's eyes will be opened to the Grace of God in Christ for the first (and last) time... and Jerusalem shall be trodden down of the Gentiles, until the TIMES OF THE GENTILES be fulfilled. The Earthly City of Jerusalem has special significance to the God of Israel. He is jealous for His City. The ancient city of Hebron, burial place of our forefathers, has seen much religious settlement for centuries, but it has been a hotbed of contention for just as long, chronicling the battles between Jews, Christians, and Moslems that have seeped the city in blood. Hebron is regarded as a holy City and is the burial place of the Jewish patriarchs. Biblically, it is the first capital of King David. Hebron is associated with the element of earth (a reference to the Cave where the patriarchs and matriarchs were buried.) The Patriarchs according to the Judeo-Christian Old Testament are Abraham, his son Isaac and his grandson Jacob. Collectively, they are referred to as the three patriarchs. David chose Hebron as his royal city and was anointed there as king over Judah (2 Samuel 2:1-4). In addition, Abner was buried there (3:32), his traditional tomb is still standing. Eventually David was anointed king over all Israel in Hebron (5:1-3). The city was also one of the Levitical cities and a city of refuge (Joshua 21:13; I Chronicles 6:42); it was an important administrative centre and this was the reason why Rehoboam fortified it (2 Chronicles 11:10). Safed (Tz'fad) came to be regarded as a holy city after the influx of Jews following the expulsion of Jews from Spain in 1492 and became known as a centre of Kabalah. Safed is associated with the element of air (a reference to the mystical/spiritual branch of Judaism that flourishes there.) The Jewish presence in Safed is new relative to the other holy cities, but once the Spanish exiles began settling there, it outshined even Jerusalem in Torah scholarship. Though the city has undergone earthquakes and other calamities since then, its magnetic spiritual aura continues to attract Jews from every walk of life. Safed is mentioned in the Jerusalem Talmud as one of five elevated spots where fires were lit to announce the New Moon and festivals during the Second Temple period. Legend has it that Safed was founded by a son of Noah after the Great Flood. However, for believers in Yeshua there is no significant value. Tiberias is one of the four holy cities and was founded by the son of Herod the Great, named Herod Antipas. Tiberias was accorded its name in honour of the Roman Emperor Augustus ‘Tiberius’. The city was difficult to establish with a viable number of citizens, however, because of rumours it had been built on an ancient graveyard, and this fact, according to Jewish 'halacha' (law) would prevent any Jews living there from touching holy food or attending synagogue. However, it is a predominantly Jewish City today. Herod, (the king who Yeshua (Jesus), in the New Testament, appropriately referred to as 'that fox') came up with the idea to import unwilling citizens to his new city forcibly, thus solving his population problem. Tiberias is a place of extremes. The Sea of Galilee is a freshwater lake, and yet it is a few hundred feet below sea level and situated in the lowest valley on earth, namely the Jordan Valley. In addition Lake Kenneret (Sea of Galilee) provides more than one half of all Israel's freshwater needs. Tiberias is associated with the element of water (a reference to its being located on the Galilee Sea). For us, as believers Tiberias and the Sea of Galilee have another significant importance of ‘holiness’ where our Messiah Yeshua performed many of His miracles in the surrounding areas. Capernaum lay on the north western shore of the Sea of Galilee, that lovely expanse of water where everything breathes an atmosphere of beauty - The shores with sub- tropical vegetation, the lake itself with its shades of blue and the gentle lapping of its waves, and the rolling hills encircling the lake. Most people tend to think that Revelation 20 is the only passage in the Bible that speaks of a future reign of the Lord. Nothing could be farther from the truth. There are key passages in both the Old and New Testaments that speak of the Lord's future reign.